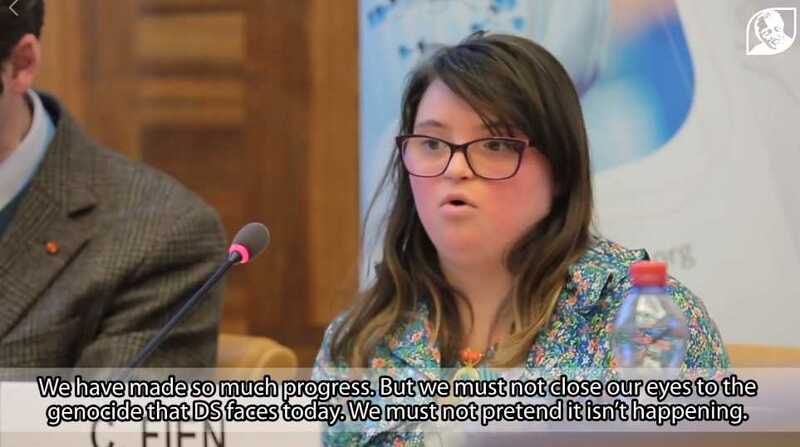 GENEVA — A woman with Down syndrome recently addressed the United Nations in Geneva to decry what she sees as eugenics against those who have an extra chromosome. “The future of Down syndrome is in grave danger. Around the world, more than 90 percent of babies found to have Down syndrome are aborted up to birth. A mother’s womb is the most dangerous place for a baby with Down syndrome to be,” lamented Charlotte Fien, 22, of the United Kingdom. “Governments and health ministers are keen to get rid of us. Some countries like the Netherlands have put a price tag on our heads. They think the world will be better without people like me,” she stated. Fien said that the world appears to want perfect babies, but there is no such thing as a perfect person. She lamented that despite the progress that has been made, as those with Down syndrome have integrated into society and are “proving the world wrong every day,” countries are still allowing the killing of unborn children just because of a Down syndrome diagnosis. “People like human rights ‘expert’ Ben Achour say women should be made or forced to abort if the baby has Down syndrome. How is that not eugenics? How is that acceptable to target a group of human beings for extinction? Is that not what genocide is? To get rid of an entire group of people?” Fien asked. She pointed to countries such as Iceland, Denmark, the Netherlands and the United Kingdom. “They (the UN) need to put an end to the genocide against people with Down syndrome,” Fien proclaimed. Fien is bilingual and has proved the experts wrong as her doctors said that she would never be able to speak properly. She has spoken before the UN on several occasions, receiving applause for her remarks. 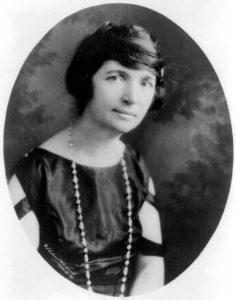 As previously reported, one of the reasons those who identify as pro-life so staunchly oppose groups like Planned Parenthood is that fact that its founder was a proponent of eugenics against the disabled unborn. Also see Sanger’s “no more babies” remarks from 1947.